As this is our first podcast recording, let me know in the comments section any feedback on the recording or how it played for you, so we can improve for future podcasts. Or if there were any lingering questions the podcast raised but did not answer, mention that, too. This was amazing in so many ways and I am still processing all that you spoke of, but first of all I just wanted to tell you Katrina (Hello) you have such a beautiful laugh! Hearing your voices and and a little bit about yourselves, has made you human to me … if that makes any sense? I didn’t realize your children were that age, or that you had a special needs child, I am a DSP for adults with developmental/intellectual and physical disabilities so I can understand (to a certain extent) your struggles and rewards of this part of your life. I am excited for what you both are doing with this book, a little disappointed that it will be a few years before completed, but I understand! The “complaining” you talked about really hit home, and it something the Lord has been working with me on. I will listen to this several more times and ponder on it and I’m sure I will have more commits but for now, thank you for sharing. Thank you for the compliment, Tina. I do like to find things to laugh about. I love laughing about myself and getting others to laugh too. Life is much more fun when you can take yourself a little less seriously and learn to be more forgiving towards yourself. Anyway, I wanted to thank you for inspiring me on a topic to do a post or a podcast on. Complaining is a great topic to cover. Many of us complain in ways that are not direct and therefore hard to see that we are doing it. I have put that down as something for me to work on putting together. Tim and I truly appreciate your support and ideas. Good to hear from both of you. I’m super excited for what God is doing in your lives and in turn, the impact that you will have on so many other people. I’m so happy to be a part of this historic book. Like Tina, I’m disappointed it will take a few years and I REALLY want to know what the title will be. Lol. But looking forward to a lot of great content from you both in the meantime. So glad I found you both. You are wonderful examples of what it means to be meek and merciful. How you deal with so many tough questions and even accusations from so many people without blowing a gasket, is amazing. So excited for what it is to come…. Thanks, Sam. I want to reassure you, Tina and anyone else that for you members here it won’t be “years” waiting for the book to get the benefits it will have. Here you are already starting to get the book information in nascent form. To speed it up, interact more in the comments sharing what helped that we shared and what you still struggle with. We’ll target those areas in podcasts and articles. …what he said :). Yes, Sam (and everyone else), we are inspired by your posts on what to focus on and develop that encourages us all on to good works. We are really excited to share the things that have helped us and see changes in you, our supporter’s lives, and in ourselves as we go forward with this project. Hello Tim and Katrina, thank you very much for including me in your support team. I completely believe that God is behind the idea for this book. Writing it as a novel is a great idea. My own experience within my inner circle of friends and family is that because the Bible is difficult to understand, they give up trying and end up confused by so many different interpretations and teachers. A novel that follows your first book that has all of the Bible texts to follow is a great way for people to get a better understanding. Thank you for your faithfulness to God and your example on how to live a true Christian life. Hi Julie, you’re welcome and thanks for upgrading to monthly support after trying out the support team content. I’m glad you’re a part of it and look to hear your input. The Bible is a hard book and if we had an inspired novel version of the teachings of Jesus and how to do them and the blessings that are promised and do come (Good News of the Kingdom) we’d have a great movement of people who actually were like Jesus, unlike the Christians are. Hi Julie, we are excited to have you a part of the team. Yes, the Bible is difficult is hard to understand. I think one of the pitfalls I have been in with the Bible is getting caught up in the details instead of the simplicity of what it is trying to convey. Many times I have thought that understanding the Bible well enough would somehow help me figure out how to find happiness and peace. The Truth is weird when you get it- The Truth is so simple that we gloss over it or don’t think it is the most important. It is something that only spiritual children see because it is so simple. That Truth is peace, happiness, and life are found simply in loving YHVH with our whole heart, might, soul, everything we have AND showing we love Him by loving our NEIGHBOR as OURSELVES. The whole Bible is trying to help us understand Our Daddy’s love (YHVH) and learn to love like He does for eternity. The hard part is letting go of everything that does not support this simplicity. I hope that we will be able to share in a way that really makes sense how to make this simple Truth really work for each person and how to really apply it to the situations that you face in every day life. Tim and I practice these things and have found that they work. We have also found that we still get exercised very well every day in consciously CHOOSING to put these Truths first in our life with every second. We mess up like anyone else, but we feel and see peace, love, and faith growing in us as we continue forward. YHVH’s way works. YHVH’s way may not change your circumstances always, but it changes YOU. I am so excited after listening to you; its clear that this book-idea is God-inspired! And to do in in a novel form is brilliant. Then to incorporate Know the Future too and to bring in all the tough stuff which we find impossible to take to the church or the pastors …. you surely have a winner idea here! I have learnt so much through the 7 years I have know you two; you have helped me through so many times of despair! Looking back now, my faith has developed through these tough times; by working through the issues slowly (as you said!) I still dont have all the answers on my many questions; but I have learnt to have faith, and to dwell in God’s peace…. Thanks for giving me the chance to be part of your support team! God willing, I am excited to help you in whatever way He might show us! It has been such an honor to watch you grow over the years, Linda. Your willingness to not give up on YHVH but push in to Him, even when you are not getting what you want out of life has helped you find more faith and peace and it is so BEAUTIFUL! Your testimony reminds me of Jacob’s life. He lost loved ones and understood bereavement. He was a foreigner many times. He took care of a whole tribe of people. He was not even close to perfect but still trusted in YHVH even when things looked like they were not working out very well. His life was a beautiful mess of events, some mess he created, some he inherited, some others created for him, but He decided to still struggle with God and not give up. That is you, Linda. I am honored to be your sister fighting with you! Listened to your talk last night twice about your upcoming new book. I too am very excited for you both as well as excited to be a part in the process of it. I have some questions and I plan to think about them a bit more before firing them off after I get alone with myself. Welcome Jay to the team! We look forward to your deep questions and growing with you! I really want to thank you both for taking the time to make this podcast. I recently purchased Know The Future for my mother and was highly disappointed in that it read like Greek to her. I’ve read it 4 times myself, and had decided I was going to have to just go through it one paragraph at a time with her for the duration of the entire book. I live in SC and she lives in GA so you can imagine how time consuming this would be. Having said that, at first, the thought of you making this into a work of fiction was…well, I was not against it, but was not for it either. I kept my mind open, however and glad I did. This book would definitely make it easier for people to understand Know The Future and so much else because we DO live in a society that is now based on entertainment in some shape or form. I also realize it would have to be labeled “fiction” for obvious reasons, but fiction is always based, on some level, on facts. And this book will be just that. 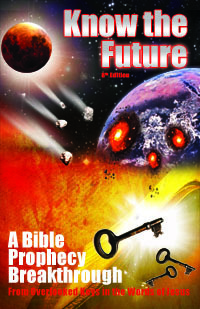 A fictitious story woven out of Biblical facts of things to come. I don’t have any questions per se about the book as of yet, however, I am very eager, as are many others, to devour it. I also want to thank you for the latest 2 articles you’ve written, The First Sign of the End and Why Jesus will Tell Christians, “Depart From Me! I Never Knew You.” Both have helped me to grow in two very important ways. And in turn, will help my mom grow as well. I always disliked calling myself a Christian and when I did I would have to launch into the fact I’m not to be lumped in with the majority of Christians. Now I know, I never WAS a Christian. And I never will be. Thank you so much for opening my eyes on both these topics and please just know, you are much appreciated. I can’t imagine my life devoid of you. You’re welcome and thank you for your belief in the value of my book. Unfortunately, as you are discovering the hard way (as did I), the book is not one that everyone can understand easily or perhaps at all. I was against doing a fiction book for years until I became more fully aware of how limited an audience a technical non-fiction book has compared to a good story like Left Behind. Both teach truth and perhaps the fiction one puts people’s defense down to it. Yeah those articles tell some rare and hard truths. Christians can’t understand that Jesus was not a Christian nor would he approve of Christianity and that the narrow path he spoke of few finding that leads to life is not Christianity which one third of the world has found. I can’t imagine my life devoid of supporters like you, either. It’s no good doing this research and trying to teach if there are not students who want the truth I have found. God bless you and all. Yes, Know The Future really makes one have to slow down and pay attention to each word. I think it is great that you have the opportunity to go through it with your mom. I have learned that helping others with hard things blesses me back so much that it is worth the effort and ‘trouble’. You will find yourself growing so much from it. May you see some blessings of doing this right away that would encourage you to go all the way through the book with your mom! Prophecy is one wonderful way to understand what YHVH is doing and give you peace of mind on how you fit in to His big picture, which is brilliant once you can see it laid out- Tim’s book does a great job of laying it out. The next fictional book we plan on helping it be more easy to understand at least a general knowledge of YHVH’s timeline of events, but also what one can do and focus on now to make the most out of this opportunity of having a human life. Many times we are alive and just wonder what we are supposed to be getting out of all of this and what we are supposed to be doing. We are arrested in going forward with anything because we don’t understand what to be focusing on. If we do get a clue on what to focus on, many times we have no clue on what to do about what is in front of us. We hope to help give people enough strong clues to get them unstuck and able to grow in grace and knowledge. You can surly pray that we will be effective in this! I love the idea for the book and how God is orchestrating it through the both of you. What I like about the concept is that, it being in a fiction form, actually softens a message that most Christians immediately reject as heresy. They will definitely be more likely to read it, especially given the science fiction feel to it. God is amazing in how He wants to reach ALL people, even the Laodicean church who thinks they have everything all figured out. I am in a sleeping, Laodicean church presently at God’s calling. To my knowledge, only the pastor and myself are “awake” to the truth, although there are others in our surrounding community. But we’re in deep intercessory prayer and the pastor is making a push for the congregation to go out into the community helping the poor, hungry, sick, etc. He’s laying the groundwork for the last invitees to the wedding feast of the lamb, and we are seeing signs of the beginnings of a spiritual awakening in Kansas. As this occurs, there will no doubt be a push for truth as God’s remnant fully develops, so I will definitely be directing others to your site and book(s). I’ll also be taking mental notes of the things I observe to see if there’s anything that can be helpful to your book. Can’t wait to see how God moves in the coming months and years. It is very refreshing to see someone interceding and trying to wake up those who slumber, Stephanie. May your watering and planting be blessed with fruit springing up into life! When I read your efforts to write it reminded me of my own struggles in the past with feeling like the hard effort I put in to things did not seem to be appreciated, helpful, or even wanted. Probably most humans struggle with this, some more than others. Even though you did not get the response or the fruits of your labor in the way that would have been satisfying, I know that what you did was amazing because all effort develops something in ourselves. That development can last for eternity whether others benefit from it or know they are benefiting from it. Sometimes we feel inspired to do things that we think should pay off in a certain way, whether financially, prestige, recognition, or something else. Just know that in your effort and practice, it is NEVER wasted, UNLESS you give up dreaming and doing what you feel next to be inspired to do. Sometimes we don’t understand how the things that slow us down, make us not be able to perform or attain what others attain, but we keep fighting anyway does anything. For example, we have a special needs son that takes a lot of time and resources. There are so many things that I did not get to do or complete, or was broken because of this son, and another son who decided to be difficult to raise (rewarding but difficult. Lol.). By human standards, I am a mere housewife. The only thing I have going for me is that I don’t give up. I just refuse to give up and that has kept me in the classroom that YHVH (God/The Heavenly Daddy) has for me to grow and become like Him through whatever I find I need to do every day. Your life and how to choose to keep going is a testimony that is being made that you will be able to tell for eternity! God does not make mistakes and He sure does not stop the work He has started in each of the children that has chosen to make Him their Father. All you have done and will do will be something valuable to your testimony of God’s goodness. Whatever disappointments you have in life does not make YOU a disappointment. God will be glorified even in your testimony if you don’t give up or even think your life and its struggles are meaningless. God makes hope out of hopelessness. He fixes the most broken. He is glorified when we believe He is that good. With this in mind, your sour book deals, struggling with Bipolar, your computer not supporting you well, my own circumstances which are humble as well, they all can glorify God and how strong He is to those who CHOOSE to love Him no matter what their circumstances are.-That is the whole point to this physical life and the eternal one we will have through Yeshua’s (Christ’s) sacrifice for us. I hope this has been an encouragement for you Larry as that was my intention. May Our Daddy bless you even more! Insightful discourse, Tim and Katrina. Many of us feel isolated because of mainstream religion. I include the Churches of God in that. They are just their own genre of mainstream religion. Despite craving instruction, discussion and fellowship, I am reluctant to even attempt to try and find a church to attend because of many of the issues you mention that so many have experienced. I wonder if any of the current “Churches of God” have “question time” at the end of the sermon. (and I would certainly have questions after a sermon!). You, on the other hand are approachable, confident and diligent in answering questions. 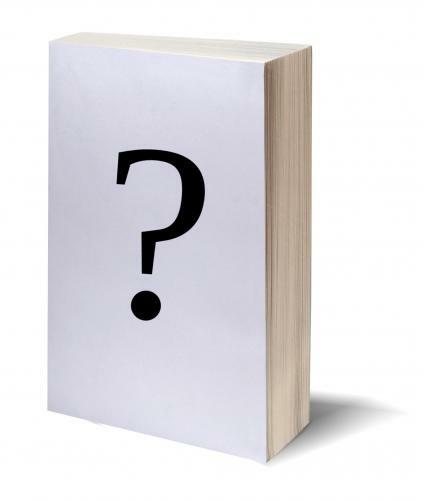 A novel is a great plan for today’s world and will reach a wider audience, certainly. An accurate novel and movie rather than other “Christian” novels or movies, would be a first. Look out Mel Gibson! Thank you for your prayer for us all in your podcast. Thank you too, for your generosity in allowing your support team to give what they are able to allow you the time and space to write, record, and counsel people. Thank you for your compliment. I love to learn and learn with and from others by being approachable. We had “Q&A Bible study” once per month at my local WCG. I loved it and wondered why every church did not have that until I grew up and realized most people are not like me and most pastors are not like my excellent pastor was. It is funny how we can feel alone in a church and alone out of a church fellowship! Many times the focus of religious groups is on things that do not satisfy or really build true brotherly love and respect for one another. We many times cannot fix what is broke outside of us, but we can learn to not contribute to it by being different ourselves. The best way to not feel lonely and not get sucked in to the whole mess, whether you attend church or are not led to, is to apply 1 John chapters 3 and 4 to everyone, whether inside a church or not. This type of living creates deep meaningful relationships with some and it might wake some up in being jealous of having something they want. The wonderful part of living this way is that it helps you feel closer to YHVH (God, Daddy) which takes away that feeling of loneliness more and more as you go along. I have to admit that sometimes I drop back in to feeling lonely as well. I have had more years of feeling lonely than not (even with friends). But the tides have shifted more and more to feeling more connected and a part of something important as I have focused on loving God by loving my neighbor as myself. When we have PURPOSE to what we are doing and why, it fills that area in us that feels lonely. If we don’t fill it with what The Lord tells us to fill it with, then it gets filled with junk like bad feelings, bad habits, or addictions. Well, maybe it only works that way with me and those I have had the privilege of helping out of such ditches? By the way, I am not personally for or against going to a church building. I have seen Daddy lead me to be at some and then nowhere so many times that I have learned to be content in both circumstances. There are really important things to be learned in both situations that I am grateful to have had the opportunity to experience both. Actually, I think I will write on those experiences or make a podcast on it sometime. I have included it on my list of topics to get to in detail. If you have any ideas of what you would like to know on that topic let me know so I can start making notes. Thank you for your note, Sue. I hope you find the connection you are craving to have! Thank you for the encouragment, Katrina. Increasingly, the connection I need is coming from, and with God. I have long thought that my community and the people I come into contact with every day is my “church”. If every one with whom I have had contact feels a little better for my interaction, encouragement and hugs (if appropriate! ), my day has been worthwhile. Tim’s website (with your involvement!) is also a blessing. I learn a little something from each post. I am honored to be part of the making of this book as well as a monetary supporter! I am excited for the both of you to cement your plans and commence onward. I am esp excited to hear the title but I can wait till the time is ripe! Whatever I can do to help I will. Glad to have found you both! You’ve made a huge difference in my life. Thank God for you both and Merry Christmas and a most “Prosperous New Year! Will you be including footnotes referring to scripture supporting events within the narrative? I can not remember if Left Behind did anything like that. David, Yes! I was thinking of doing that but was not sure for exactly that reason…would it be too out of place or unwanted by most. I like the idea because it emphasizes that, although this is a story, it’s based on actual literal prophecy. Perhaps we do end notes instead of footnotes? I just listened to your podcast on your (you and your wife) book. I think it’s a great idea to demonstrate in a story the prophetic timeline of events to the end times. I was only concerned about it taking years to complete. If we should be looking for the starting of a Mideast war and Damascus event within the next 5-7 years (correct me if I’m wrong) wouldn’t you want to publish sooner? Finally, I would recommend reading john Dawson’s “healing americas wounds” book if you haven’t read it which is good at exposing the cultural blinders of western thought. Hi Sonya, Thank you for your note. From our human point of view, it would seem that our writing of this book is not happening in the time that any of us think it should take. It seems that this trend of making humans think that things are not happening when they are supposed to happen is a trademark of how God works. I give you the example of Joseph: He had his dreams and it seemed he was to just grow up and have his brothers and father bow down to him and he would lead the family. Instead, God showed His timing to be different and made Joseph a slave first, which he stayed a slave the rest of his life, and then his brothers and father came many years later. Then I give you another example in Jesus: The Jews at that time were looking for someone to be called by God to get the Roman empire off of their backs. They thought a ‘messiah’ would come to set them free from this. Instead, The Messiah, not a messiah, came to save them and the rest of the world from captivity from their sins and their spiritual enemies. They got mad when they were not being freed from Roman rule and this messiah they were looking for let them down so much that they could not see he was The Messiah. And many of the Jews are still waiting for The Messiah to come, mistakenly thinking that He has never appeared in human history yet. So, Tim and I feel led by God that He wants us to write this book. We are not trying to rush the hand of God, nor are we trying to avoid the enormous task and privilege to write it, that definitely will not be completed on our own strength and wits alone. We appreciate all of our Support Team rooting us on, inspiring us with their questions, and most importantly praying for us, praying for those who will read the book, and that the writing and distribution of it all will happen according to God’s perfect timing that does not look perfect now from a human perspective. If you have further questions or ideas, we welcome them. God bless! Sonya, I’ve been concerned since 2013 when I got the idea how many years it was seemingly taking, too! But we don’t know when the end is coming or how far before the end the ME war comes. The book would just have to get out early 2020s if 2026 is the start of the end, right? After a radical salvation (2006) away from the institution of the church but among a group of believers who lead us, baptised us at the beach we were at & then prayed for us to receive the Holy Spirit at a service they put together our journey began. (this happened with my husband) To this day we don’t know which “churches” they came from. We were all away on an incentive trip we had earned thru work. Our entire lives changed, we were the first born again Christians on both sides of our families. Not one part of our lives were not effected. Its too long a story but you can imagine the response from our friends & family as we shared our miraculous story completely uncensored! Gods love that overflowed into our lives started the healing & deliverance we both desperately craved. Its been quite a journey that continues today. We found a “word of faith” church lead by a gifted teacher (definitely not a pastor) Our bible knowledge grew quickly & our own study of the bible started to reveal more questions than answers. Quickly I wanted to understand the bible as it was written, culturally & literally of the original language. Seeking a youth group for our children we moved to an ACC church but many frustrations continued. We awoke to the events to come through reading the book of Revelation & many years ago I found your Escape all these Things book. It was an answer to my desperate prayers as our son was set on a path to attend College in the USA on a baseball scholarship (we live in Australia) I was desperate to understand & before your book I was completely freaked out about him going there. We studied through your book with another family & last August our son moved to North Carolina. He went with the understanding that when the time comes, not matter where he is in his career, we move to Israel! Are we called to evangelise? Can we get people saved? What is predestination & what is our role as believers? Healing, deliverance, miracles? Why are we not seeing more of this? Can’t wait to keep reading your updates! Thank you so much, without your book I don’t know that we would have been able to release our son. Or if we did we certainly would not have coped very well with the overwhelming thought of destruction coming to the US!! I really enjoyed reading your condensed version of your testimony, Jodie. It is so wonderful to interact with people who are diligently searching for understanding and also trying to find a way to live a life that pleases God. I heard a speaker recently share who compared all the knowledge and wisdom of God like a never ending orchard of different trees with tons of fruit that you could never eat all of. You could go around the garden and pick and eat anything you wanted and there would still be more and more. That really made a dramatic visual for me that still keeps coming back to my mind. Your journey for finding the answers to your questions in your post reminded me of that visual. I personally was born in to a fundamental church and although I do not attend that church any longer (and it does not even exist any longer), I have known that the God of The Bible, The God of Abraham, Isaac, and Jacob, was the Creator. I have searched for answers to various questions my whole life concerning spiritual matters, and I think it is healthy to do so. Hey, I met Tim at a Bible University where I was searching for answers. A few weeks ago, while I was in prayer, I just spontaneously asked God to help me understand very simply what He wanted. Sure, I had many answers, but I always find myself getting into so many details. I love details, but sometimes they muddy up the true point. I asked that understanding the most important things be so simple that I could share it with a 5 year old and they would understand. I felt moved by the idea that God said the simple would understand and the wise would not. Plus, I have felt that the deepest truths are usually in the most simple answers. I look at who Yeshua picked to learn from Him. It was the uneducated, and they knew more than the religious educated people of their day after just a short time of being around Yeshua. These past few weeks have definitely been interesting as God clarifies things for me. So far, I have just a few things that God has revealed to me that are the core, or the things that will lead you directly to Him and His way. The first one is the two greatest commandements- Love YHVH with all your heart, might, soul, everything you have, and love your neighbor as yourself (and your neighbor will most definitely be hard to love especially if you do not know who God has made you to be). The second thing I have learned are what seem to be maybe the three most basic things to understand God and Yeshua to have taught us to focus on: 1. Repentance 2. Forgiveness 3. Blessing (instead of cursing). One warning has been given to me so far as well to temper the basic stuff above. All of the above ideas have an anti-type, or a false type. There is something that looks and even may feel like you love God but you really do not. There is something that may look and feel like you love your neighbor as yourself but do not. There is false repentance, forgiveness, and blessing. And all of these false things leave most of us deceived and not knowing we are deceived. To help get out from under this deception, or false worship of God, I have so far been given one remedy. The remedy is to grab hold of how much God loves you and bought you, and proved it through sending His Son, who loved you so much that he willingly died for you (instead you you dying for disobedience), so that you could be so THANKFUL that all you wanted to do is show your gratitude by reciprocating with ‘laying down your own life’ through the simple things I mentioned above. With this one ingredient, a person can discern their own heart of what is false and what is real obedience and worship of the One True God. Actually, each time I share what I got so far, it gets simpler in the message. I think a 5 year old could understand this. Yes? May your journey of your own searching for answers become very clear and simple for you, and may those answers bring you even more peace than you have attained thus far! Hi Tim and Katrina. I have just joined the support team and been reading some posts, and as always have been blessed by what I read! Tim and I have emailed back and forth occasionally for several years now, and I have been reading Tims material for that long. But I agree with others that hearing your voices brings things together in a very cool way! And in my passion and desire to know YHVH and Yeshua more deeply, I know what you have coming will be profoundly helpful! Thanks for your insights into truly loving God and our neighbors (others basically), forgiveness, and repentance as the foundation for our salvation. I think I said that right… more questions to come, and thanks again! Hello Tim and Katrina. I have just joined the support team but I have been receiving Tim’s articles via email for years. I first came across Tim via Google in 2009 when I was being led out of the church and into the Torah movement. It was then that I purchased his book Know the Future and became active on the forum. My life has changed dramatically since that time, i.e. divorce, remarriage, Hebrew Roots Movement participant, etc., but I always seem to find my way back to Tim’s articles and such when everything around me becomes overwhelming. YHVH brings such peace to me through the wisdom that He has given Tim. My recent stirrings have led me to join the support team because I have begun to realize that time really is much shorter than I would like to think. I want to be aligned with YHVH and His plan and I have to concur that He is moving steadily toward wrapping things up. I hope to continue to gain wisdom and to become more like Jesus as I go. Thanks for being faithful, I look forward to reading more. Laura, thanks for your supportive words and giving. Glad I can make a difference for you and other Bereans. Good to hear you both on the pod cast keep up the good work and cant wait for your new book. I have a question: If the Jews come first , where do we gentile fit in? I love the podcast and not only your thoughts, but also your testimony about how everything came about. I too hope it won’t be years before we get to read the book or see the movie. God seems to be putting a lot of things in place for His message to be heard and seen around the world. I am awestruck on a daily basis. Thank you for your friendship, your time, your love, your help, your courage, your patience, your honesty, your teaching, and sharing your family with us. In the almost 2 years we have known you we have already experienced a journey of a lifetime!!! May the Lord bless you all in all that you do in His name!! The most important thing I’ve learned was to start living like you live in the Kingdom of God NOW. Practice all the fruits of the spirit, learn to live in the spirit and what it means to die to self and so much more. So God Bless everyone who reads the words they have (Tim and Katrina) have blessed us with. I just believe this is vital now. We have time to rehearse and learn how to become more spiritually mature (so we can handle it). Oh Lord have mercy and help us. ! Amen! AMEN! May God have mercy on us and help us and provide us with guidance. I find it hard to walk in the spirit, but He has already given us everything pertaining to life and godliness, and He is so good to us! I overflow with gratitude for the gift of encountering so many people who are also learning to live in the spirit. Thanks for encouraging me today, Jeanne.